Sushma Swaraj will arrive in Beijing on April 21 for a four-day visit and hold talks with her Chinese counterpart Wang Yi on April 22. Beijing: China today said its relations with India have seen "great strides" and that the upcoming visit of External Affairs Minister Sushma Swaraj will further enhance political trust between the two countries. 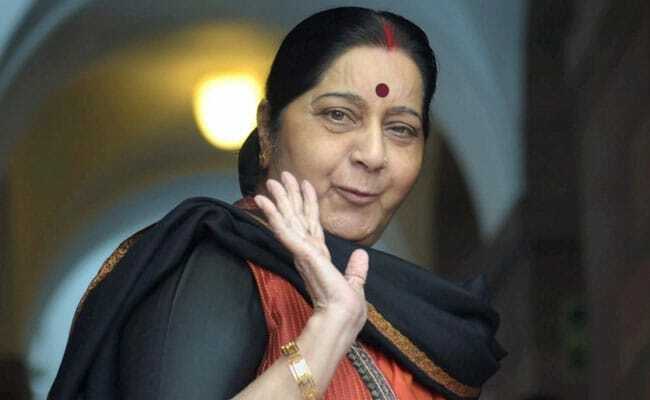 Ms Swaraj will arrive in Beijing on April 21 for a four-day visit and hold talks with her Chinese counterpart Wang Yi on April 22 to take forward attempts by both countries to reset ties strained by last year's 73-day Dokalam military standoff as well as a host of other issues. "We believe Swaraj's visit will further enhance political trust between the two countries and elevate the China-India strategic cooperation partnership," said Chinese Foreign Ministry spokesperson Hua Chunying. "We have seen great strides in all-around cooperation. This year, there is a positive momentum in bilateral ties. We would like to work with the Indian side to maintain high-level exchanges, expand practical cooperation, properly manage disputes and move forward bilateral ties," Ms Hua said. The issues of discord between the two countries include the China-Pakistan Economic Corridor or CPEC being built through Pakistan-occupied Kashmir, China blocking India's entry into the Nuclear Suppliers Group or NSG as well as its opposition to efforts to list Jaish-e-Muhammad chief Masood Azhar as a global terrorist by the UN. This will be Ms Swaraj's first meeting with Mr Wang after he was elevated last month to be the state councillor, which makes him the top diplomat in the Chinese hierarchy. He holds the dual posts of state councillor and foreign minister. During their talks, Mr Wang and Ms Swaraj will exchange views on bilateral ties, international and regional issues of mutual concern, the Chinese foreign ministry spokesperson said. Ms Swaraj is also scheduled to take part in the foreign ministers' meeting of the Shanghai Cooperation Organisation (SCO) on April 24 besides meeting Chinese Hindi scholars and students. Ms Hua said the foreign ministers of all eight-member countries of the SCO will take part in the meeting on April 24. SCO, in which China plays an influential role, is comprised of China, Kazakhstan, Kyrgyzstan, Russia, Tajikistan, Uzbekistan, India and Pakistan. This is the first foreign ministers' meeting after India and Pakistan were admitted into SCO last year. All parties will exchange views on SCO cooperation and major international and regional issues, Ms Hua said. The meeting will lay the groundwork for the upcoming summit of the SCO at the Chinese city of Qingdao in June, she said. Prime Minister Narendra Modi is expected to take part in the SCO summit.